(P1) An unmanned Russian cargo spacecraft ferrying supplies to the International Space Station is plunging back to Earth and apparently out of control. (P2) The Russian space agency is trying to re-establish contact with the cargo vessel, but has been unable to do so. (P3) “It has started descending. It has nowhere else to go,” an official familiar with the situation told Agence France-Presse on Wednesday. (P4) Russian officials said that they feared the vessel could be lost for good. (P5) A Soyuz rocket carrying the Progress M-27M spacecraft with supplies for the International Space Station successfully launched on Tuesday, but communication with the vessel was lost soon afterwards. (P6) The controllers decided to change the flight plan and extend the vessel’s journey to two days instead of six hours in an attempt to fix the glitch. (P7) If they can’t regain control the spacecraft will come down. But little, if any, of the vessel will survive re-entry into Earth’s atmosphere. (P8) Cargo vessels take supplies like food and fuel up to the International Space Station. Once they are unloaded, they are jettisoned and left to disintegrate as they heat up on re-entry. (P9) Any parts that do survive the inferno are most likely to end up in ocean or in one of Earth’s great wastelands. 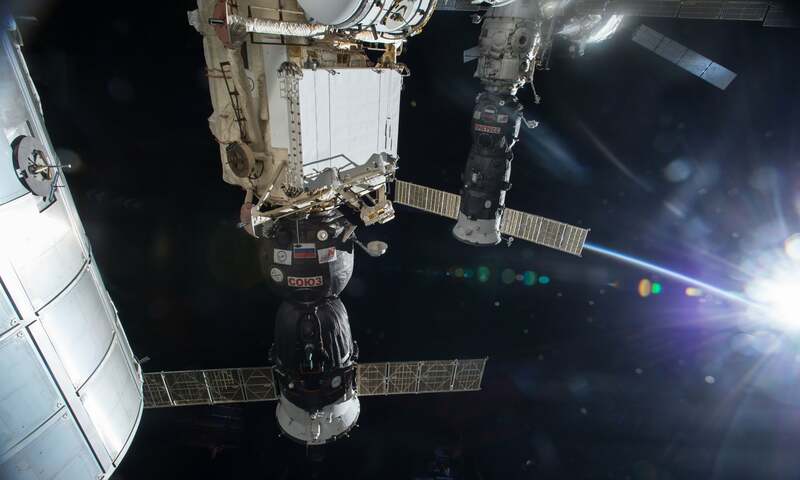 (P10) The ship had been scheduled to dock with the ISS, where the international crew of six people is awaiting the cargo, on 30 April. What was the purpose of launching this spacecraft? Why do Russian officials think that the spacecraft is lost for good? Will the fall of the spacecraft be dangerous to people on earth? What problems could the failure of this space flight create for the astronauts who are on board the International Space Station?